The Census of Agriculture is the most complete account of U.S. farms and ranches and the people who operate them. Every Thursday USDA’s National Agricultural Statistics Service will highlight new Census data and the power of the information to shape the future of American agriculture. 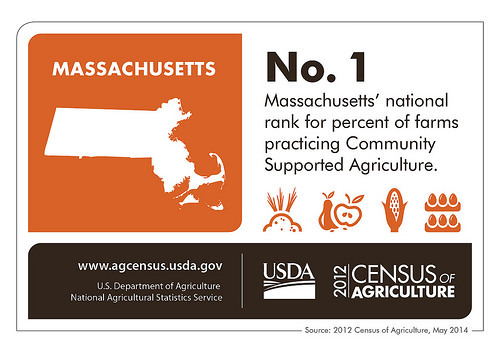 According to the 2012 Census of Agriculture, Massachusetts agriculture defies national trends in more ways than one. For example, while across the country the number of farms decreased four percent since the 2007 Census, Massachusetts was one of only 10 states that saw an increase in both the number of farms and land in farms in the same time period. In addition, while women make up 31 percent of all operators across the country, they make up 41 percent of all operators in the Bay State. Similarly, while the number of female principal operators decreased nationally since the last census, that number increased from 2,226 to 2,507 in our state. In fact, female principal operators compose 32 percent of all of our state’s principal operators, the highest percentage among the New England states and the third highest nationwide. We also have a growing number of beginning farmers in Massachusetts. Although the proportion of all beginning farmers in our state is down slightly since 2007, it is still higher than in other parts of the country. In Massachusetts, 29 percent of all operators and 25 percent of principal operators began farming in the last decade, while nationwide, 26 percent of all operators and 22 percent of principal operators fall in that category. Massachusetts’s agriculture has developed to meet the needs the needs of metropolitan area that stretches from Boston to New York City. To meet the needs of East Coast home owners and landscapers, in 2012, 1,039 of Massachusetts’s nurseries, greenhouses, floriculture, and sod farms grew and sold over $144 million worth of those crops. Sales of these crops accounted for almost 30 percent of agriculture sales. Also, 1,223 farms produced just over $125 million of fruits, nuts, and berries. Our state ranks eighth in berry acreage in the nation, at 15,727 acres, and 89 percent of that is dedicated to what many consider to be Massachusetts’s signature crop, the cranberry. Massachusetts is the birthplace of the cranberry industry and currently has the second highest cranberry acreage in the nation, at 14,070 acres. But what makes Massachusetts agriculture particularly unique is our direct- to-consumer sales, direct sales to retail outlets (such as stores, restaurants, and institutions), and community supported agriculture (CSA) arrangements. More than 28 percent of the Bay State operations engage in direct market sales, and our state ranks third in the nation for value of direct market sales per operation. In addition, Worcester and Middlesex counties are in the top ten counties nationwide for value of direct market sales. Over 13 percent of our sold to retail outlets which ranks 6th nationally. CSA arrangements are also very prevalent in our farming industry. In fact, nearly six percent of farms in our state market products through a CSA arrangement, up from three percent in 2007. We rank sixth nationally for number of farms and first nationally by percent of farms using CSA arrangements. In addition, four Massachusetts counties – Middlesex, Hampshire, Worcester, and Franklin – rank in the top 10 nationwide for number of CSA arrangements. As you can see, Massachusetts agriculture stands out in multiple ways, and it’s clear that we will remain unique and continue to grow. If you want to learn how to get involved in agriculture in Massachusetts, you might be interested in the B.S. 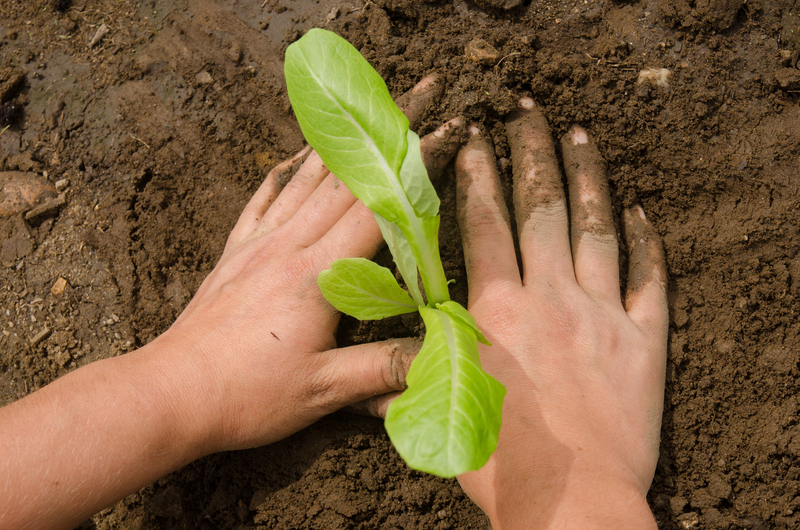 degree or the ONLINE Certificate in Sustainable Food and Farming offered by the University of Massachusetts Amherst. Or at least, stay connected with whats happening at Just Food Now in Western Massachusetts.